In one novel he's writing about Intuitionists -- a group of elevator inspectors who use instinctive feelings to assess the machines. In another book, he writes about junketeers -- folks who cover press events. Next, he's taking on dozens and dozens of different first, second, and third person perspectives to cover New York City. After that, he's writing about a nomenclature consultant -- that is, someone who comes up with the appropriate, most catchy names for products. From there, it's on to black boys with beach houses. Then, he's writing about sweepers (the people who clean up after a zombie apocalypse) and stragglers (those zombies who are frozen in place of a mundane task or activity). He went from that to writing about his participation in the World Series of Poker. And now, he's writing about the Underground Railroad as an actual underground railroad. 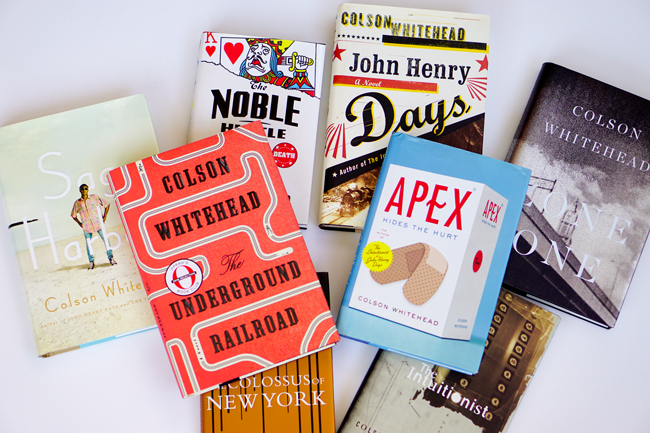 Some people call Colson Whitehead a novelist, but, as I've noted before, we could easily call him an idea factory.